The ability of a computer system or a machine to behave intelligently with some human traits is known as artificial intelligence (AI) or machine intelligence (MI). Automated cars, interpretation of human speech, high level gaming strategies, decoding complex data etc are all possible because of artificial intelligence of machines. Artificial intelligence is developing with every passing day. New technologies are being invented every other day as a result of advancement of science, which is leading to simpler lives. AI can be used for higher security purposes of confidential belongings. Features like face recognition and voice recognition are used which requires artificial intelligence of computer machines. The recent launch of digital assistants like the Google assistant or Siri or Cortana by the highly advanced organizations has taken a role of a new member in every family. With the use of features of AI like logical reasoning, perception of human behavior, massive statistical records, planning, machine learning, these avatars or the assistants can do wonders. Doctors and specialists rely a lot on the AI for proper treatments. Be it radiosurgery, or neurological disorder, or depression, artificial intelligence is required in several fields for medical assistances. The field of robotics is very closely related to AI, which are logically trained and understands human behavior and psychology well and can be used in multiple fields like industrial laborious work, or engineering of machines minutely, or in operation theaters. Artificial intelligence is bedded into robots so deep, that robots are beating humans in intelligence games or competitions. Also, a lot of video games uses the AI as games require human interaction and intelligence the most. The major threat of artificial reasoning is the fear of human race extinction. Great personalities like Stephen Hawking, Elon Musk and Bill Gates had showed their concerns about the negative influences of artificial intelligence and the fear that AI may go beyond the control of humans. Facebook has shut down one of its AI systems as bots started talking among themselves in their own language. As AI can be used for betterment of humanity, it can also be a reason for human degradation. Automated destructive machines and weapons can be invented which uses the AI and these weapons can lead to mass destruction, if it falls into wrong hands. Artificial intelligence hypothetically means a more intelligent machine than human beings. Too much intelligent machines may lead to loss of humanity, because humans would start to rely on those machines too much and would eventually lose their own judgmental, thinking or sentimental qualities. Bringing machines with artificial intelligence would mean a reduction in human labor, which in turn leads to unemployment. AI machines would definitely mean better work performances, but it would also lead to an economic instability. Machines with artificial intelligence must have some limitations. The ethics of artificial intelligence has to be formulated well and applied on the machines at all costs. International policies on AI is the need of the hour. According to me artificial intelligence is very good and nowadays we required very much to operate computer , operate car , operate machine we don’t need to think anything just we open our computer and start working but it requires less manpower as a result unemployment is increasing and as a human we don’t need to think we can depend on artificial intelligence , we can get information , knowledge even sometimes we take wrong decision. But as a human being we have to justify which one is good and we should use artificial intelligence, everything should limit and use the technology. Artificial intelligence is developing with every passing day. New technologies are being invented every other day as a result of advancement of science, which is leading to simpler lives. AI can be used for higher security purposes of confidential belongings. 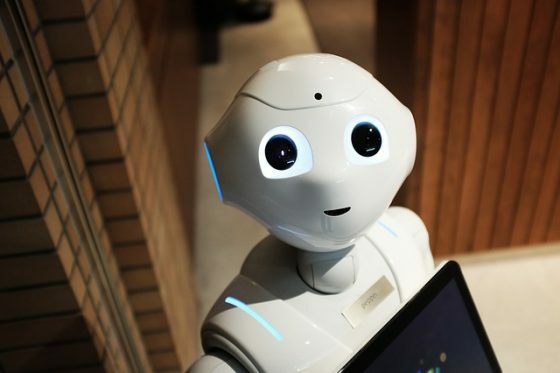 Features like face recognition and voice recognition are used which requires artificial intelligence of computer machines.Machines with artificial intelligence must have some limitations. The ethics of artificial intelligence has to be formulated well and applied on the machines at all costs. International policies on AI is the need of the hour.